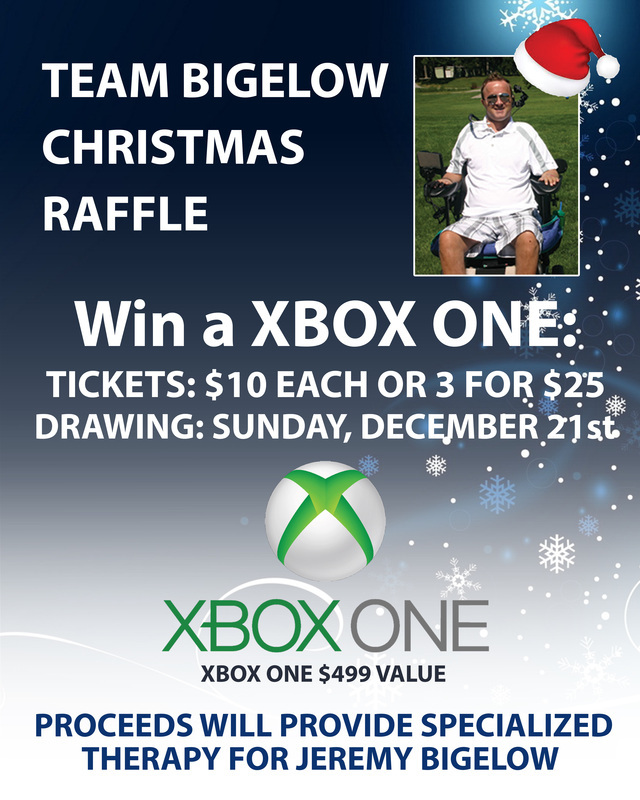 This year's Christmas raffle is for a Xbox One "Day One Edition" with Kinect! All proceeds will go towards funding the specialized physical therapy and equipment that keeps Jeremy moving forward. Each ticket that is purchased, adds up to make a huge difference in his life. Thank you to everyone that continues to believe in the efforts of Team Bigelow and getting Jeremy back on his feet! Every little bit mean so much. KEEP BELIEVING!